Having never played a MOBA, ARTS, hero brawler, or whatever you want to call the genre, I knew that with the release of Heroes of the Storm, my time to enter the genre had come. I heard they had a steep learning curve, but by the time I really had the itch to try, I knew about Blizzard’s entry and just decided to wait. I wanted to play as these Blizzard heroes! As someone without experience in genre but with a lot of love for Warcraft and Diablo, I’m having a lot of fun with the game. There are lots of characters progression choices I might not have tried yet, but it’s not difficult to get a general understanding of the game. Every Tuesday, Blizzard changes what heroes are available to play for free. You can purchase heroes to unlock them permanently. By the end of the week last week, I had a good understanding of what heroes I could play well and what heroes I played terribly. We’ll see about this week. 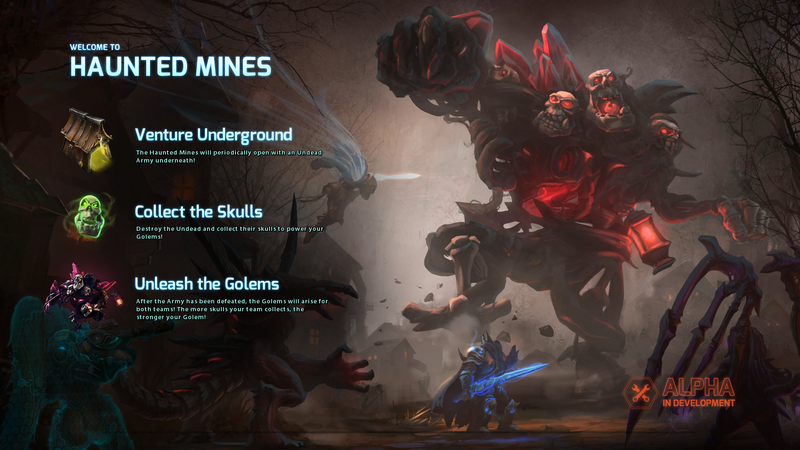 Haunted Mines is my favorite battleground so far. Periodically two mines open leading to an underground cavern infested with undead. As the undead are killed, they drop skulls that can be picked up by heroes. When all the undead are vanquished, golems are summoned on the surface, one for each side. Their strength is proportional to the number of skulls acquired be heroes on their side. From what I can tell, these battleground-specific mechanics are incredibly important. It’s rather disappointing when people forget about them. Another battleground, Blackheart’s Bay, is pretty fun. Chests spawn periodically that drop gold doubloons when attacked. In addition, certain enemies can be killed for doubloons. The doubloons can be given to Blackheart, a pirate, to purchase his services in blasting the enemy team with cannon fire. 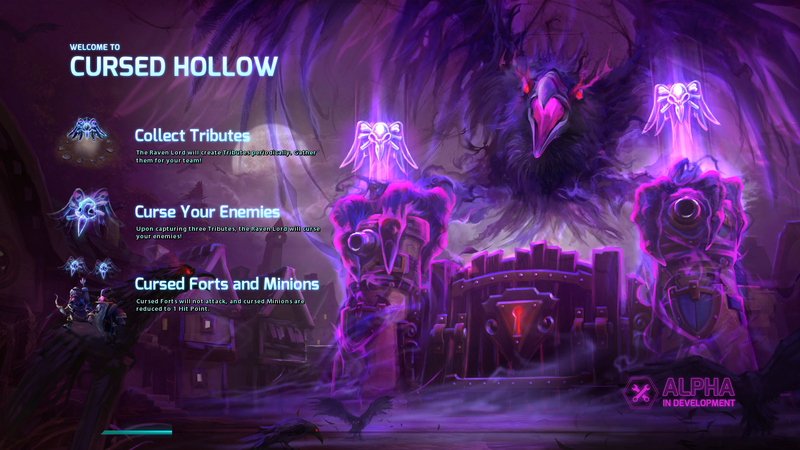 The third battleground, Cursed Hollow, doesn’t really excite me. Tributes to the Raven Lords spawn periodically, and when three are collected by a single side, the other side is cursed, causing their minions to have less health and their towers to stop firing. There’s nothing inherently wrong with it, but I don’t enjoy it as much as the previous two. The final battleground is Dragon Shire, and I don’t care for it. There’s an obelisk at the top of the map and one at the bottom. When both are held by the same side, a player on that side can interact with the Dragon Altar in the center of the map to turn into the Dragon Knight, a powerful unit. Maybe I just need to try turning into the Dragon Knight a few more times for the battleground to grow on me, but right now, I always hope I don’t get this battleground. At the time of writing this, I’d played seven heroes. I certainly have opinions on them, but I’ll admit that because I was quickly learning the game and getting better, maybe I’d enjoy some heroes more if I tried them again. I was terrible with Illidan, a melee assassin hero. I guess I’m not good at the whole get in and get out thing. Similar to his brother, Malfurion, a ranged support hero, let me down. Or maybe he was just boring. I’m more inclined to try Illidan more than Malfurion. Valla the demon hunter, a ranged assassin, was fun, but I still seemed to die a lot. I probably need more practice. I enjoyed Raynor, another ranged assassin, but he also seemed very bland. That’s probably why he was chosen for the tutorial as well. I doubt I’ll be playing him much in the future. Sonya the barbarian, a melee warrior, is pretty fun, but that’s probably because I can be a little more reckless. I felt like I got stuck a lot with previous heroes and couldn’t get away. At least Sonya can take a few hits! Sgt. Hammer, a ranged specialist, is a Siege Tank operator. She’s a really cool hero. There are definitely some different ways to play her, but she was best at taking out enemy buildings. Lastly there’s Li Li, a ranged support hero and the last hero I tried. I wasn’t expecting to like her, but I enjoyed her quite a bit. Oh, man. My favorite so far has been a healer. I guess I know that it really is my true calling. I’m a little nervous about playing too much. By the time Hearthstone was officially released, I was bored of it. On my current account, I haven’t even unlocked all the heroes. It felt like playing the same content again. 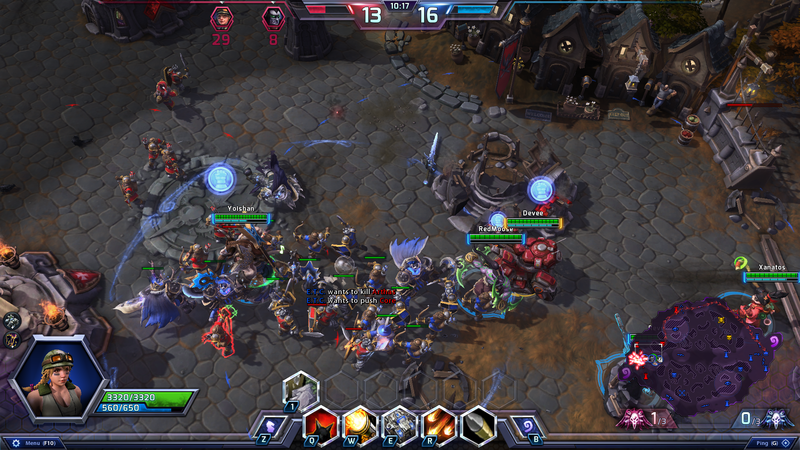 Am I going to play Heroes of the Storm a lot now during the technical alpha and not feel like playing more it releases? We’ll see. Even if I do, I bet they can pull me back into the game. I’m sure Hearthstone will get me playing again when Curse of Naxxramas releases!